HAVANA, Nov 15 2016 (IPS) - Cuba’s economic difficulties will be aggravated by the uncertainty regarding how U.S. president-elect Donald Trump will deal with the thaw inherited from President Barack Obama. Experts consulted by IPS preferred not to speculate. 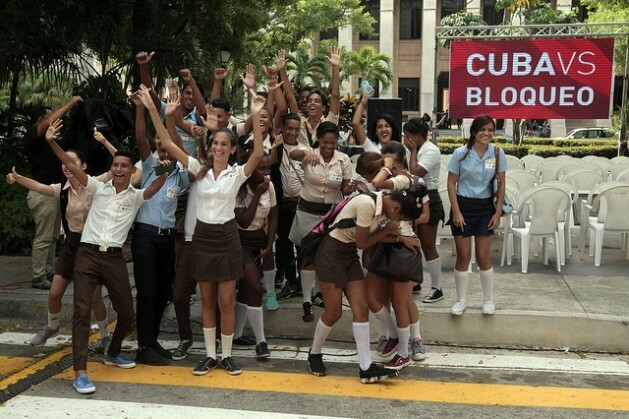 But they did recommend that the Cuban authorities adopt all measures within their reach to cushion the blow and reinforce what has been achieved on the economic front with the outgoing U.S. administration. “In any case, Cuba will have to continue moving forward with its economic reforms and try to resolve whatever has clearly not functioned for decades and is within our reach to fix,” said Cuban economist Pável Vidal, a professor at the Javeriana University in Cali, Colombia. Vidal is studying the economic reforms implemented since 2008 by the government of Raúl Castro, which has been facing major difficulties this year due to liquidity problems and oil shortages caused by the political and economic crisis in Venezuela, this country’s main trading partner and energy supplier. In the first six months of this year, GDP grew just one percent, half of what was expected. And forecasts for the rest of 2016 are bleak, projecting a drop of one percent. Further muddying the picture are the doubts with respect to the recently restored relations with the United States, now that Democratic candidate Hillary Clinton was defeated by her Republican rival in the Nov. 8 elections. “With regard to Cuba, I don’t think (Trump) will roll back the important steps taken by the Obama administration to normalise relations between the two countries,” John Gronbeck-Tedesco, assistant professor of American Studies at Ramapo College in New Jersey, told IPS by email. “But with a Republican-controlled Congress, it’s harder to know when the United States will fully commit to lifting the embargo and truly open up trade between the two countries,” said the academic, the author of the book “Cuba, the United States, and Cultures of the Transnational Left, 1930-1975”. The U.S. embargo against Cuba, in place since 1962, consists of a complex web of laws that can only be fully repealed by Congress. Cuba sees the embargo as the biggest obstacle it faces to development and a normalisation of ties with its giant neighbour to the north. Since the start of the move towards reestablishing bilateral ties, in December 2014, Obama has taken measures to undermine the embargo and attempted to protect his efforts by means of Presidential Policy Directive 43 on the normalisation of relations between the United States and Cuba, issued on Oct. 14. He even took an enormous symbolic step on Oct. 26, when for the first time in 25 years the United States abstained in the United Nations vote on the resolution that Cuba has presented annually since 1992, condemning the U.S. embargo, which it blames for 125.873 billion dollars in losses. But the business community and Cuban-Americans are largely in favour of the thaw, as analysts in both countries have been pointing out. In a reaction that observers like Vidal describe as “tardy”, Havana appears to be pushing for more foreign investment, especially in the energy industry, which is heavily dependent on the shrinking deliveries of Venezuelan crude. Cuba is still far from its goal of drawing 2. 5 billion dollars a year in foreign investment – the amount needed to put the economy on a steady footing. The 83 projects approved since a new law on foreign investment went into effect in 2014 have attracted just 1.3 billion dollars so far. But to some extent, the thaw is easing the tense economic situation in this country. Between 2.0 and 2.5 billion dollars in remittances from abroad flow into Cuba annually, mainly coming from the Cuban-American community, according to estimates by Cuban economist Juan Triana. Only exports of medical services bring in more hard currency revenues, he said. Another major source of hard currency is tourism. Cuba’s colonial cities and white sand beaches are experiencing an unprecedented tourism boom, with the number of visitors from the U.S. growing every month, despite the fact that they can only travel here under one of 12 approved categories, such as family visits, academic programs, professional research, journalistic or religious activities. 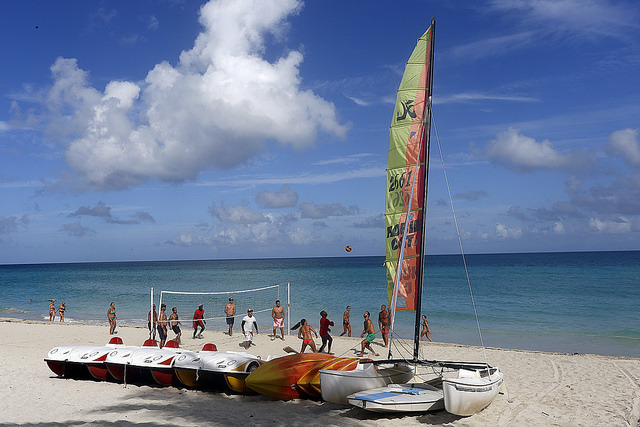 In the first half of this year, Cuba received 2,147,912 visitors from abroad, including 136,913 from the U.S. This latter number was 80 percent higher than the total for the first half of 2015, according to the national statistics office, ONEI. In that period, tourism brought in more than 1.2 billion dollars, only counting public installations, not the growing private sector, which rents out rooms and runs taxis and restaurants. Cuban economist Ricardo Torres showed IPS a novel analysis on the U.S. president-elect, who was widely criticised during the campaign for his racist, xenophobic and misogynistic remarks. “There are three aspects (of Trump) that could benefit relations with Cuba,” the academic researcher said. Face it, for as long as there is a military / communist economy in place there will be no permanent solution to Cuba’s economic problems. The only long term solution will be democracy and free enterprise. Not since the 1980’s has Cuba paid its debts to its creditors, but still they want to rely on foreign investments and not on themselves.